It’s a fickle thing, metal. While these days it comprises an extensive list of subgenres - there’s everything from a cappella folk metal to electronic grindcore - it isn’t always a scene that readily welcomes change and innovation. Acts like Avenged Sevenfold and Bring Me the Horizon still struggle for acceptance, despite having grown to the status of arena headliners. In more recent years, particularly left-field contenders to the throne such as BabyMetal have split opinion with their bizarrely compelling hybrid of J-pop and thrash, while even the more underground scenes like black metal have seen a controversial shake-up at the hands of acts like Deafheaven. Hailing from the grim, frostbitten peaks of… er, San Francisco, the band have made waves since their formation eight years ago with their reimagining of metal’s most infamous subgenre. Forgoing corpse paint, pagan themes and deconsecratory arson for a more personable approach, they’ve become synonymous with the term blackgaze - a portmanteau of ‘black metal’ and ‘shoegaze’ that just rolls off the tongue, first coined by Neige of the similarly-styled Alcest. 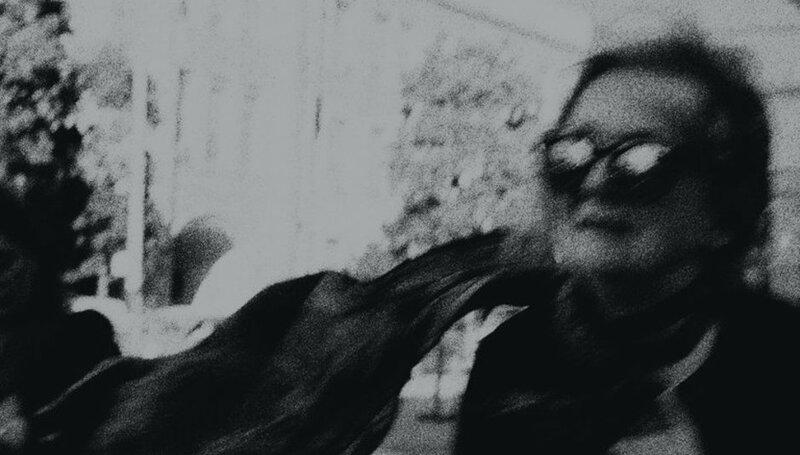 While they might not have invented it, Deafheaven have come to be seen as the main flag-bearers for blackgaze, and in doing so have seemingly received as much abhorrence as they have admiration. While their second album Sunbather garnered almost universal acclaim upon its release in 2013, they were simultaneously disparaged by defensive black metal purists who didn’t take kindly to the band’s transcendence of the genre’s usual trappings. Or their haircuts. Its follow-up New Bermuda had a similar effect two years later. A breach of an established sound is always going to be a creative risk, and it’s been the wreck and ruin of many an artist. Deafheaven, however, have invoked the ire of a small but vocal minority who possess the worrying personality trait of putting more effort into hating music that they hate than loving music that they love. But the band haven’t shied away from such controversy, nor did the revolution didn’t end with them, as blackgaze has since carved out an ample niche in the scene with the likes of Ghost Bath and Dreariness also bending the rules, for better or worse. Now, with fourth full-length Ordinary Corrupt Human Love, its spearheads are taking a further leap into wild - but scenic - territory. ‘If they didn’t like us then, they definitely won’t like us now.’ frontman George Clarke recently told Kerrang! of their detractors. They don’t help themselves, do they? This disregard for the rules is quickly made evident on ‘You Without End’, an almost cinematic overture led by a light piano and peppered with ever-so-abstract guitar melodies; in other words, it’s stripped of any sense of metal other than some shrieking come the halfway point. One discordant segue later, we’re into ‘Honeycomb’, the album’s 11-minute lead single and perhaps its strongest selling point. This track in itself encompasses each component of Deafheaven’s ever-compelling identity crisis; an explosive introduction of blackened riffage, but one laced with a palpable undercurrent of hope, shining light where black metal traditionally casts shadows. This gives birth to a slick, evocative guitar solo before melting into a dreamy outro that’s more Mogwai than Mayhem. Where some of their blackgaze contemporaries have amalgamated these disparate sounds in a way that comes across as gauche and jarring, Deafheaven’s yin toang ratio is right on the money, whether it’s on the frenetic stop-start of ‘Canary Yellow’, the introspective melancholy of ‘Glint’ or the heart-rending twin lead guitar melodies that bring down the curtain on ‘Worthless Animal’. While the quiet-loud dynamics do occasionally feel formulaic, they do throw the odd curveball like ‘Night People’, a duet with Chelsea Wolfe - another artist who’s successfully penetrated the metal scene, one to which she doesn’t inherently belong. This little night music over minimalistic piano and ambience is particularly striking when sandwiched between the relative ferocity of the tracks around it, as though standing as a monument to the defiance of expectation; a collaborative celebration of outsiders looking in. And that, in essence, is what this album feels like - a band going outside of the box without getting out of their depth. It’s altogether more sublime and cohesive than the relatively straightforward Sunbather, and although perhaps not as arresting and vibrant as New Bermuda, it certainly follows that record’s trajectory in terms of painting their canvas with colours other than black. Once again, by conjuring the darkest sounds and anchoring them in plaintive indie sensibilities, Deafheaven make the most extraordinary of genres seem somehow ordinary. Ordinary Corrupt Human Love is a waypoint in an increasingly divided world of niche cultures and categorisations, and it’ll capture the imaginations of those secure outside their comfort zones while further alienating detractors. Mission accomplished.